Share your most exciting, innovative and successful programs, campaigns, and best practices at the 2018 Mayo Clinic Social Media Network Annual Conference. 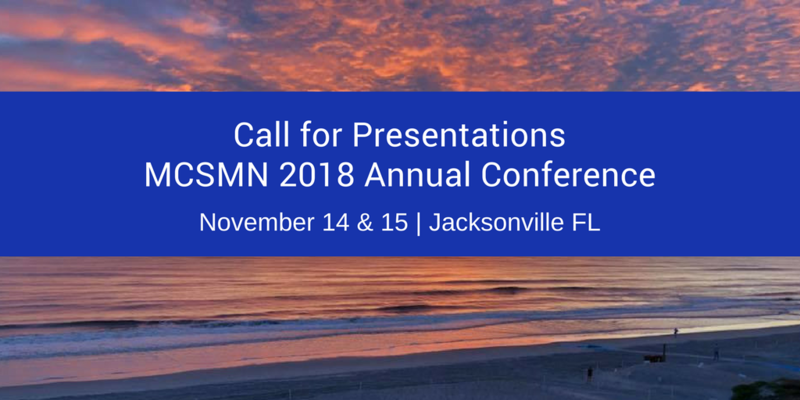 The conference will be held November 14 and 15, 2018, in Jacksonville, Florida. Keynote speakers should present fresh, innovative ideas that inspire and motivate our attendees. Case study presentations should present best practices and successful strategies in healthcare social media in 45 minutes. We are especially interested in case studies that tell the story of a daunting challenge you faced, how you tackled it, what worked and didn’t work, what you learned – packed with tips and guidance that our attendees can apply to their work today. We are not interested in sales pitches or presentations by individuals or companies that are designed to feature and promote products or services. Workshops should focus on demonstrating specific skills in 45 minutes. Examples might include tools and processes for successful Facebook Live broadcasts, collecting and assessing data from a social media campaign, or creating visuals to support social media posts. Case study and workshop presenters will receive free conference admission. Our attendees are primarily healthcare marketers and communicators responsible for social and digital strategies in medical practices, hospitals, and large health systems in the US and Canada (with some attendees from the Pacific, Asia and Europe). We limit attendance to 150 to preserve an intimate, networking-friendly experience. The deadline for proposals is March 1, 2018. Please complete all the requested information on the Call for Presentations form. (If you would like to recommend a presentation by someone other than yourself, please email your suggestions to the Social Media Network.) Thank you for considering our conference!